The ceremony marking the 50th anniversary of the Jewish return to Judea and Samaria is taking place this evening, Wednesday, in Gush Etzion, in the presence of Prime Minister Netanyahu, ministers, Knesset members, council heads, rabbis and public figures. 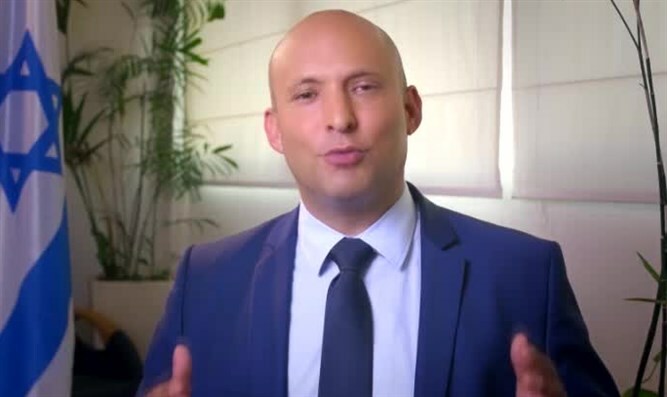 Chairman of the Jewish Home Party, Education Minister Naftali Bennett, said at the celebration in that the time had come to apply sovereignty in Judea and Samaria. “I do not take such a step lightly - in order to apply sovereignty, you need timing and courage. There is no better time than now, when it is clear to all that we are here by right and not by kindness. Like sons returning to their land and not like foreign invaders,” he said. “There is no better time than this, even if there is opposition in the world, we will overcome it. [The world] also understands what the Israeli public understands: The land of Israel will not be divided again,” he declared. “To you, heroic settlers, I have nothing to add except this: We all salute you and love you,” Bennett said in a message broadcast on screens at the event. Excepting Jerusalem and the Golan Heights, Israel has not applied sovereignty to the areas to which it returned to in the Six Day War, and they are still governed by an IDF civil government.